Emboldened by the spirit of the runway, this Michael Kors watch is a fashion statement in its own right. 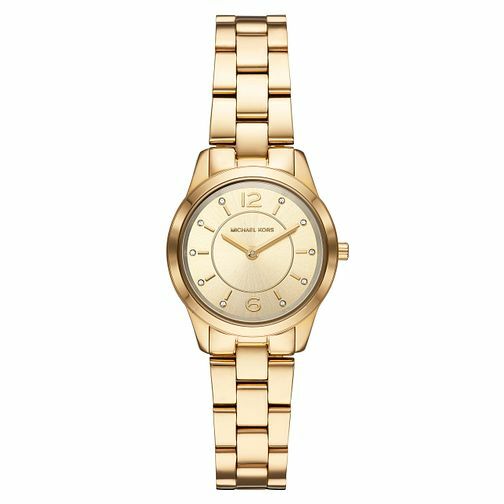 Cased in a yellow, gold finish, it has a sleek silhouette with a champagne dial and a coordinating bracelet strap. Engraved with the brand's signature logo on the crown and at its centre, this watch is sure to appeal to any Michael Kor's fans, new and old.